ABCD and EFGH are similar quadrilaterals. 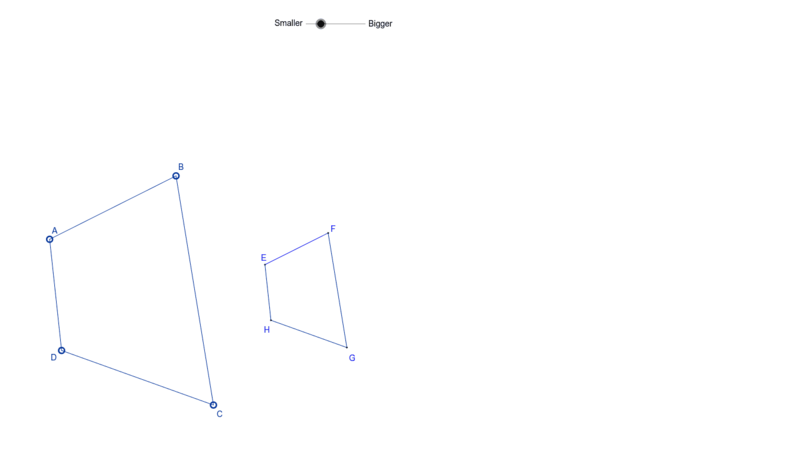 You can change the shape of ABCD by dragging the points and you can change the size of EFGH with the size slider. What do you notice about the measures of the corresponding slide lengths as you adjust the slider? Is there a relationship between the corresponding slide lengths? Check the box that says "Show Ratios" to check your prediction. 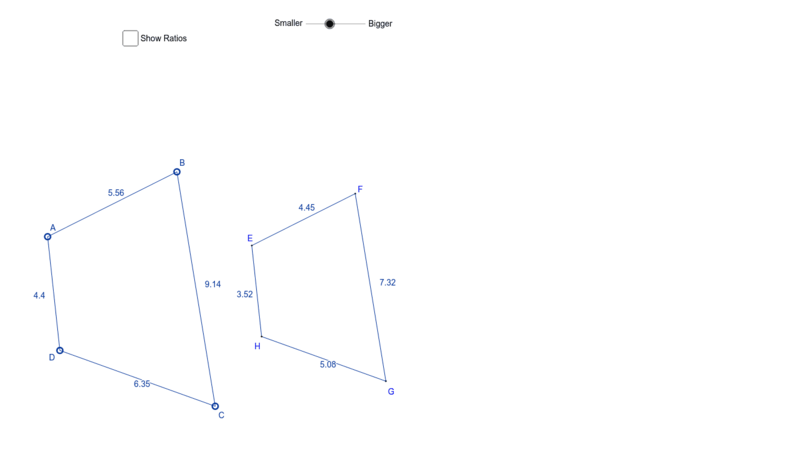 What do you notice about the ratios between the corresponding slide lengths in the two quadrilaterals? 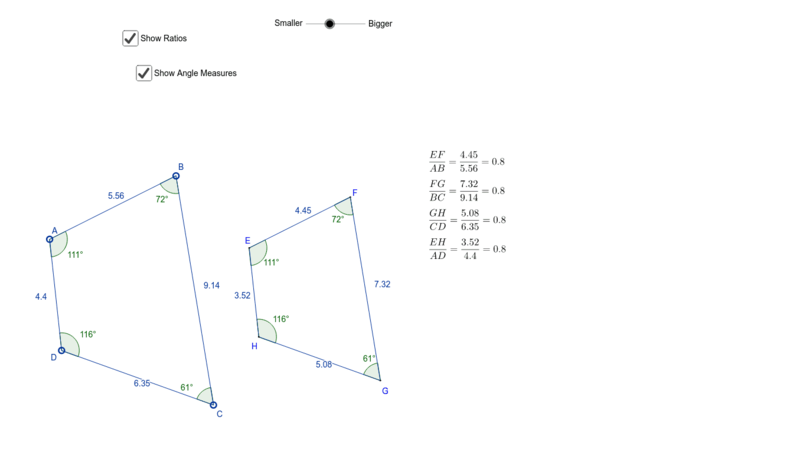 Now let's consider the angles. 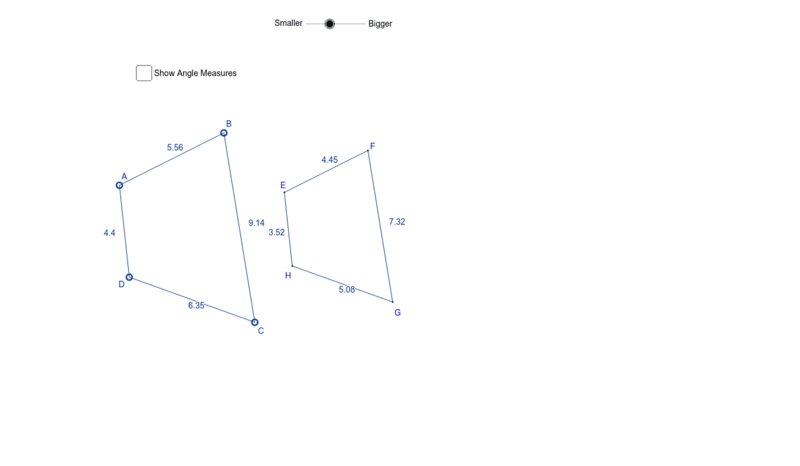 What do you think the relationship is between the pairs of corresponding angles in the quadrilaterals below? When you're ready, check the box that says "Show Angle Measures" to verify your prediction. What do you notice? There you have it! You have just discovered the relationships that exist with two similar figures!